Be wary of things that appear white. They may actually be inferred red. And bees can tell the difference. And they’re pissed. So, snow madness is going around. How do I know? Because I nearly watch 50 Shades of Grey yesterday rather than go outside. To be honest, I watched the first 45 minutes of it before, after being interrupted half a dozen times, giving up and settling into searching for letterpress stuff on eBay. Which was a terrible idea. Because of the snow madness. I found myself nearly buying wooden hands. I’ll probably still end up buying one at some point. But I managed to avoid it yesterday. 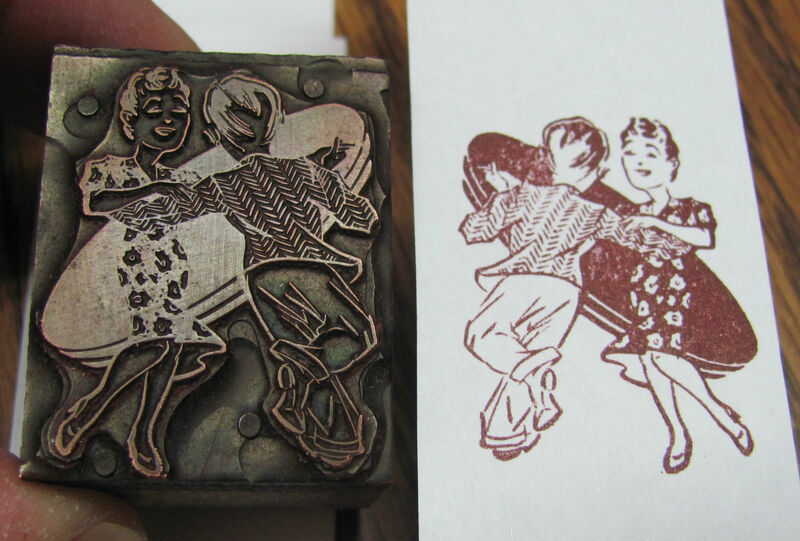 What I ended up buying was a piece of type. An ornament of two people dancing. Wanna see it? Okay. It cost me six bucks. Well worth it. It is currently on its way to me from Ohio. I think it was Ohio. Not important. I don’t know about you, but I’m glad it’s March now. Three more weeks of winter. And then I can go back to shorts and sandals. I am going to go attempt to wake up. I’ve got paint to deliver and might be going to get Angie the Queen of Kings. If the Interstate has thawed. Either way, this laundry isn’t going to wash itself.